Polishes: Barry M - silver foil effects, Etude House - black with sparkles. Designs made with a thin nail brush. 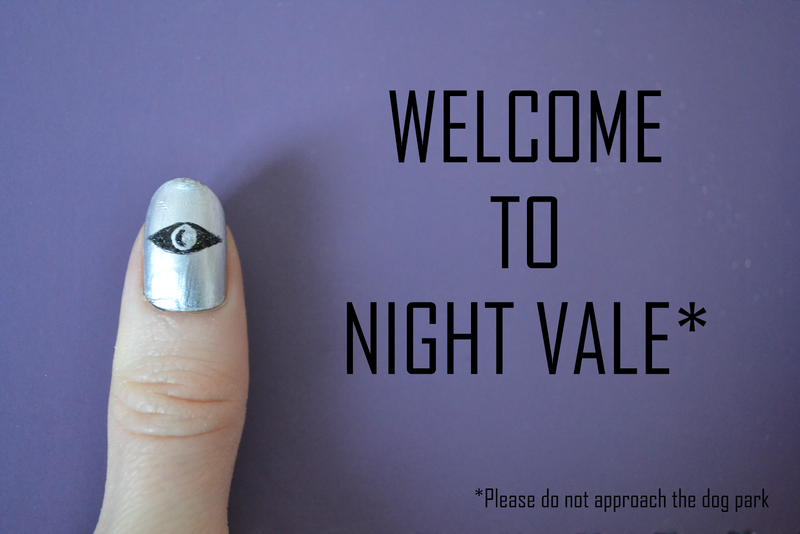 Welcome To Night Vale is a podcast where the news and events of fictional town Night Vale are reported. Night Vale is a friendly desert community where hooded figures roam, glowing clouds use mind control and a vague yet menacing government agency keep watch over people. There is also a dog park which you should not enter. Or look at. u have a gift in nail art!